What happens when you ask some of the best artists in two counties to create work around a common theme? You get a major art exhibition that’s entirely provocative, different and new. Called “River Reflections,” the prodigious show brings together 40 original works of art, mostly paintings and photography, which offer different perspectives on the one and only Mokelumne River. It can be seen during the month of January in Sutter Creek in the Banquet Room of the Hotel Sutter, open seven days a week. The opening reception will be on Saturday, January 10, from 2 to 5 pm. The public is invited to attend the event showcasing art, music, and poetry. Don’t miss the outrageous human fountain of water that will beckon guests in front of the hotel. The River Reflections exhibition, which also features ceramics, jewelry, glass, mounted poetry, will run here until the end of January. River Reflections is a landmark arts endeavor created by AmadorArts from a grant funded by the California Arts Council. Project partners are the Calaveras County Arts Council, the Foothill Conservancy, and East Bay Municipal Utility District. The goal is to call attention to the significance of the Mokelumne River, which, besides supplying drinking water for 1.4 million people in the Bay Area, is a vital public resource for irrigation, power, recreation, and inspired beauty. The works in the exhibit have been judged by a panel of experts, resulting in cash prizes in the discipline categories of visual art, literary art, music, dance and performance art. Additional awards will come from a Popular Choice Vote whereby the public attending the exhibits may cast votes for their favorites. Most artwork is for sale and will prove to be highly regarded collector items. In February the total exhibit will be installed the EBMUD Headquarters in Oakland, with the reception on Friday, February 6, from 11 am to 1 pm. In March it will be installed in the Historic Hotel Leger in Mokelumne Hill, with the reception on March 14, from 2-5 pm. Save the date of May 9 for the River Reflections Grand Finale Event to be held at Pardee Reservoir. Melissa Doyel has drawn, painted or hand crafted most of her life as she loves exploring and challenging herself. 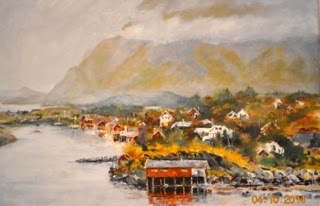 Since moving to Fiddletown in 2008 she’s been primarily focused on painting in watercolor but has added oil and soft pastels to the list of media in which she now works. While not formally trained, she feels incredibly fortunate to have found amazing teachers and artists in Amador County who have helped her explore new ideas and techniques. “I learn something with every painting and like to push myself to keep growing as an artist,” explained Doyel. She will be Sutter Creek Gallery’s featured artist for the month of January. 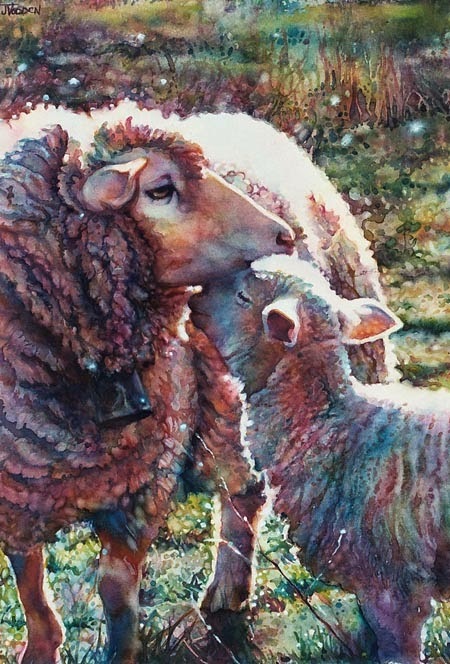 Doyel enjoys painting a variety of subjects and has won numerous awards from Amador County fairs including a Best of Show for her watercolor portrait “Tyler” in 2011 and a Best of Division for her oil portrait “Easton” in 2013. These are in addition to first- and second-place awards at the fair. 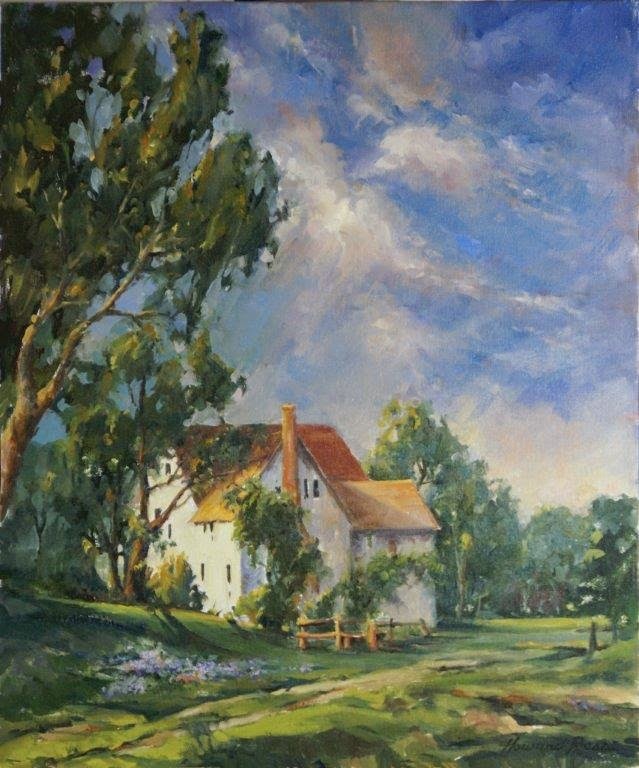 Doyel’s work was also accepted into the 2013 Stockton Art League Fall Juried Show and the 54th Annual Lodi Spring Art Show in 2014. 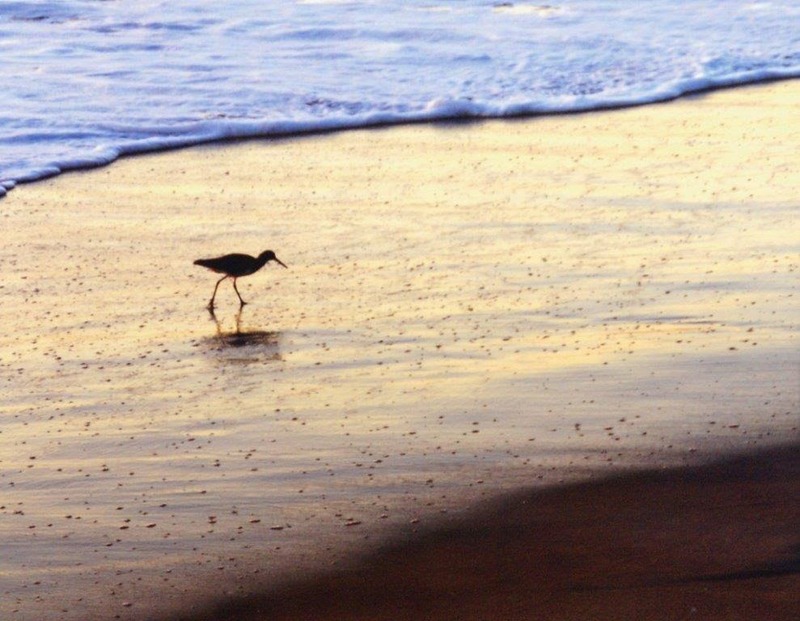 Photographer Colleen Williams now has two venues displaying her art for your viewing pleasure. They are Amador 360 located in Plymouth, 18590 State Highway 49, and Uphill Vineyards in Amador City, 14196 Old Highway 49. 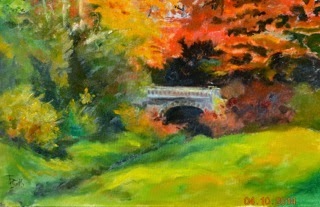 Gallery 10 welcomes back former member/owner Molly Kohlschreiber as our featured artist for December. 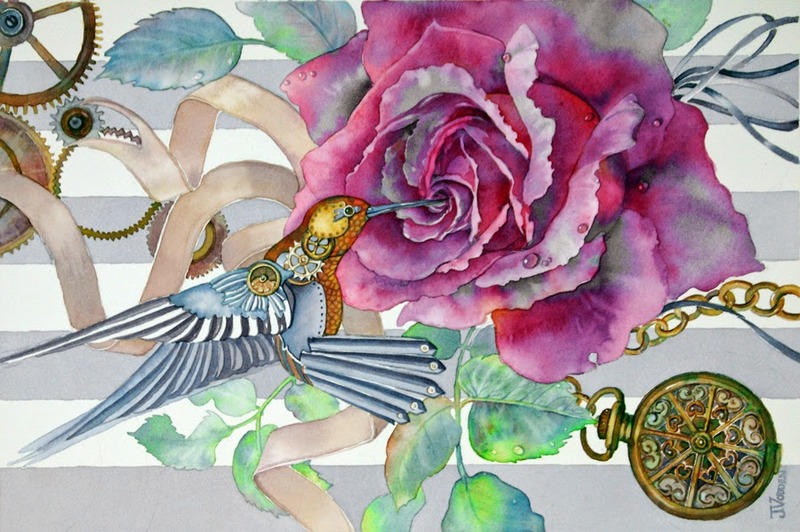 Kohlschreiber creates her art in watercolor, oil, graphite, and photo/watercolor. 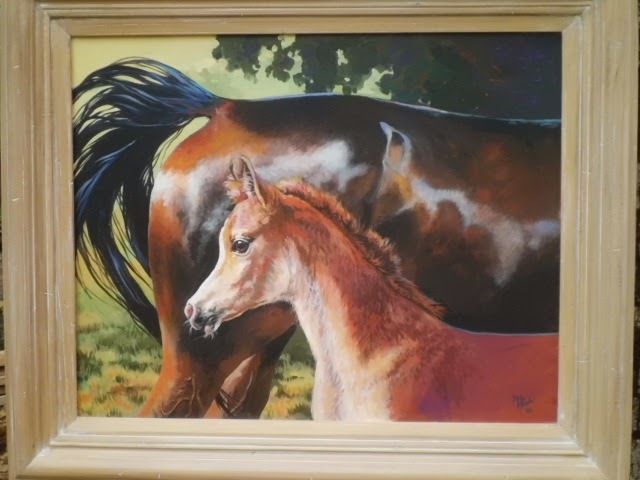 Her subjects range from desert petroglyphs, landscapes, European subjects, to her first love, horses. A reception in Kohlschreiber’s honor will be held at Gallery 10, 15 Eureka St., Sutter Creek, on Saturday, Dec. 6th, 2-5 P.M. Delectable treats will be provided by Susan’s Place. Unfortunately Molly’s health will prevent her from being present at the reception, but she hopes you will come to enjoy seeing her work. Now in her mid-seventies, Jackson resident Kohlschreiber has spent her entire life devoted to art, with the longest time spent as an art instructor at Victorville Valley College, in Victorville, CA, where she shared her expertise for 30 years, and she was chair of the art department by the time she retired and moved to Amador County. 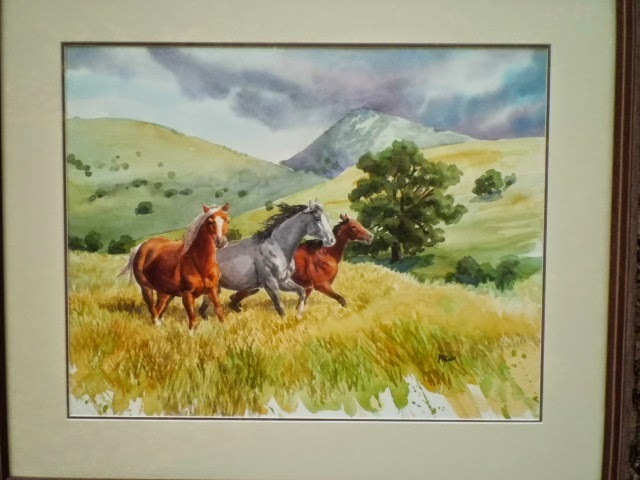 Kohlschreiber is a signature member of Watercolor West, an associate member of Horse Artists Association, and has conducted workshops in several western states. She has been a juror for many major exhibitions. 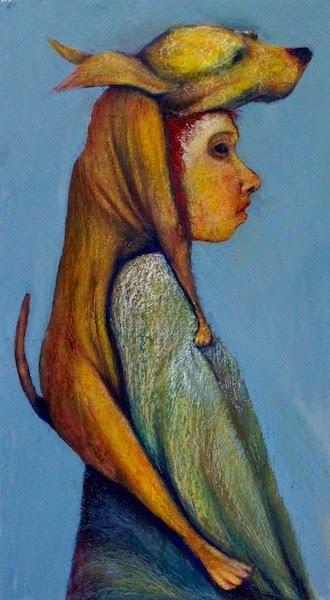 She has exhibited in many galleries and has had numerous one-person shows. In recent years Molly has done two projects of a religious nature, called “Hands1” and “Hands2.” These are small square acrylic paintings of hands shown in the Stations of the Cross. The “Hands 2” paintings are currently on display at the St. Katherine Drexel Parish Center in Martell. The show will run from December 4-29, 11-5, Thursdays through Mondays at Gallery 10. 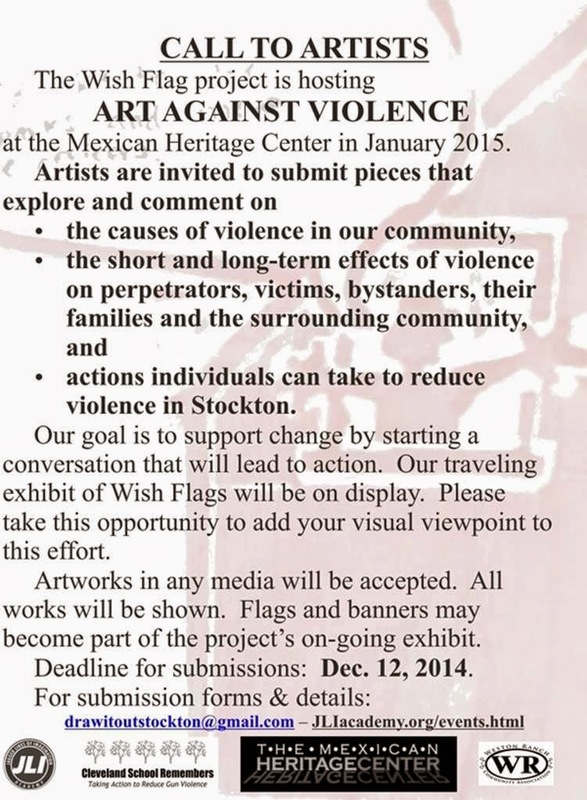 The gallery phone number is 209-267-0203. We look forward to seeing you there. This is an open juried art show to be held at the “Woodbridge by Robert Mondavi” Winery, 5950 East Woodbridge Road, Acampo on April 11th and 12th, 11 am to 5 pm, with a Preview Benefit on April 10th, at 7 pm. Jurors are: Harriet Sparkman, Dale Laitenen and William Wilson. Awards: Best of Show $1,000.00, First Place in each category $300.00, Second Place in each category $150.00, Third Place in each category $75.00. Conditions of Entry: One image of each entry must be entered via our on-line system – “Smarter Entry”-, found on our web site www.lodiartcenter.org It must be JPEG and PC compatible. Entry Fees are non-refundable. Number of entries are unlimited. Early Bird fees through Jan. 30th are: 2 for $25.00 and $10 for each additional item. Regular fees are: 2 for $35.00 and $10 for each additional item. LCAC member fees are: Early bird fees through Jan.30th are: 2 for $20.00 and $10 for each additional item. Regular fees are: 2 for $30.00 and $10.00 for each additional item. January 1st Begin on-line entry. January 30th End of “Early Bird” entry pricing. February 28th Last Day to enter. 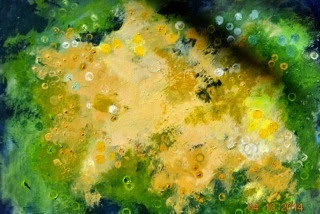 March 9th Accepted art will be posted at www.lodiartcenter.org and e-mails will be sent to artists. March 28th and 29th, from Noon to 5 pm, juried art will be received at LCAC Gallery, 110 W. Pine St, Lodi. March 30thJudging for awards from 10 am through 3 pm. 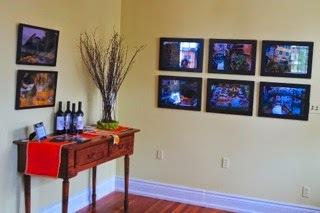 April 10th “Champagne” & Dessert Benefit starts at 7 pm at Woodbridge Winery art show display area. Theme is “The Fabulous Fifties”. Artist awards will be presented at the Benefit. All artists in the show will receive one free ticket and the option to buy a discount ticket. LCAC members will be able to buy 2 discount tickets. Regular price is $40.00. Discount price is $30.00. At the door price is $45.00. April 11th and 12th Exhibition is free and open to the public from 11 am to 5 pm. April 12th 5 pm to 6 pm, all unsold work will be picked up by artists at the show. Any remaining work will be transported back to our Gallery, where it was received. An edition of 750 quality lithographs was immediately run off and found their way into homes, schools, churches, hospitals, retirement homes, and restaurants. One copy was even acquired by the Vice Mayor of Guangzhou, China, in 1984 when Klassen’s work was part of an exhibit of American artists on a cultural exchange in China that year. All lithographs have now been sold. In 1999 the Mainstay Publishing Company in Chicago used this painting for a cover of their Advent Calendar which went to 1000s of homes and churches in Canada and the U.S.A. 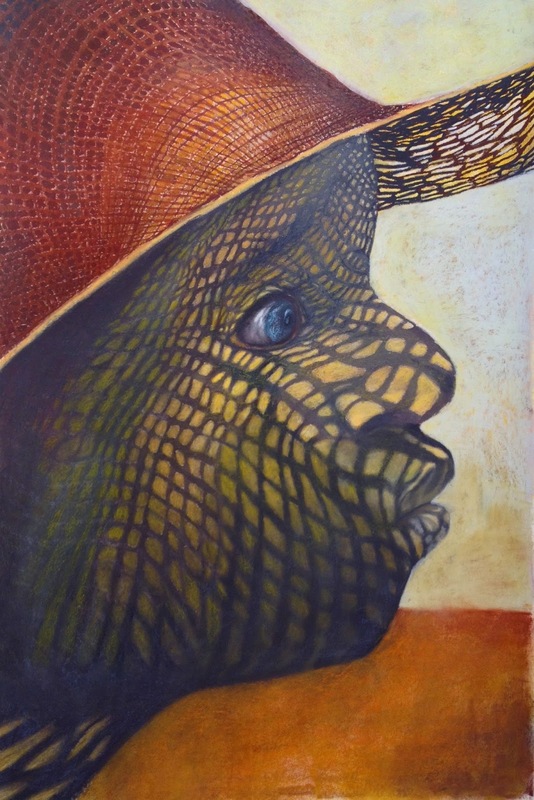 The original has won significant awards in juried shows in San Francisco and Berkeley, California, as well as in Chicago, Illinois, and other cities. This painting, titled “To Such Belongs the Kingdom of God,” has touched a great many hearts. Various evaluations have been made by critics and gallery owners ranging as high as $30,000.00. Klassen is now ready to give this painting a new home for $7,500.00. In 1981, Klassen and his wife were among 14 US. artists selected for a cultural exchange to China. Their work was exhibited in Guangzhou while they toured galleries, shared with Chinese artists and painted across the land for one wonderful month. In 2012, the Klassens moved to Calaveras County and he now makes the beautiful subjects of California his primary artistic focus. Recently he completed works of historic significance in Calaveras County. Klassen was accepted as a finalist for the River Reflections Arts Project and will be working on a watercolor featuring the Mokelumne River. Here are November’s featured artists and their work: Laureen Shimmon, hand painted silk scarves; Janet Piccola, pottery; Karen Crane, jewelry; Penny West, fuzzy head wreaths; Dianne Epperson, mosaic vases; Lora Lee Rose, feather art; Bruce Peccianti, notecards, collage and doodle art; Sharon Galligan, Julie Trail, Lynn Slade, watercolor paintings; Howard Rees, oil paintings; Curtis Stromme, abstract acrylics; and Leslie and David Schupp, photography. Since Saturday, November 1st is the monthly free Art Trek event in nine galleries, make an afternoon of gallery-hopping from 1:00 – 6:00 pm. At AmadorArts, from 3-6 pm a reception will take place for guests to meet many of these artists while enjoying refreshments. 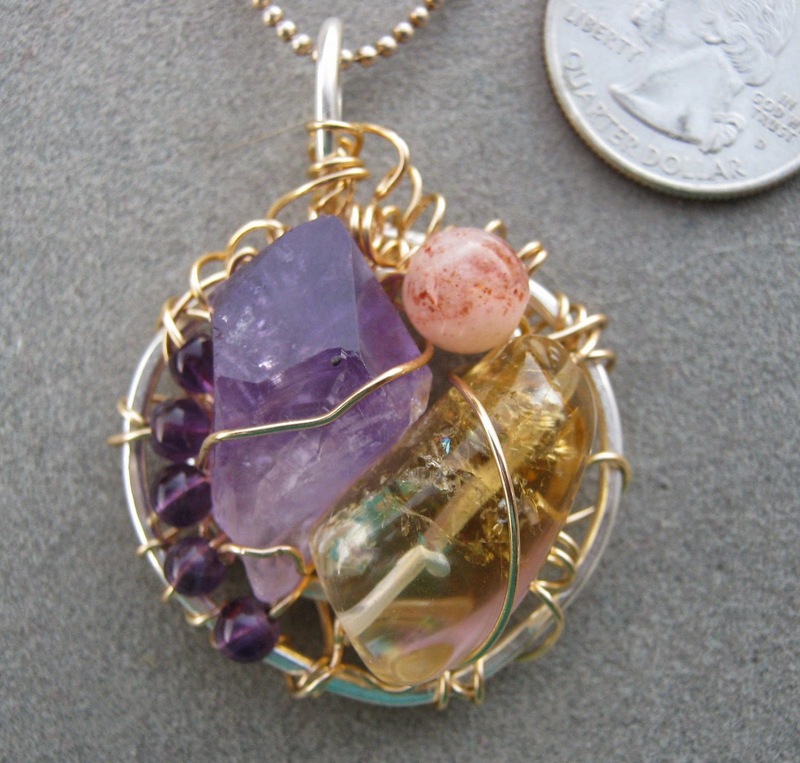 Members of AmadorArts receive a 10% discount on their purchases. 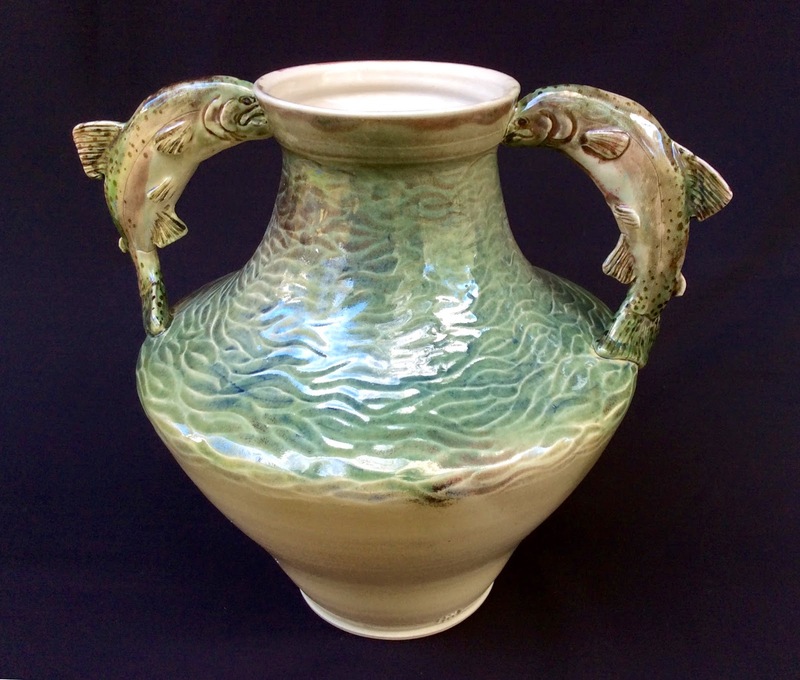 AmadorArts Gallery is located one block off Main Street in Sutter Creek at 11-A Randolph St. next to the historic Monteverde General Store Museum. 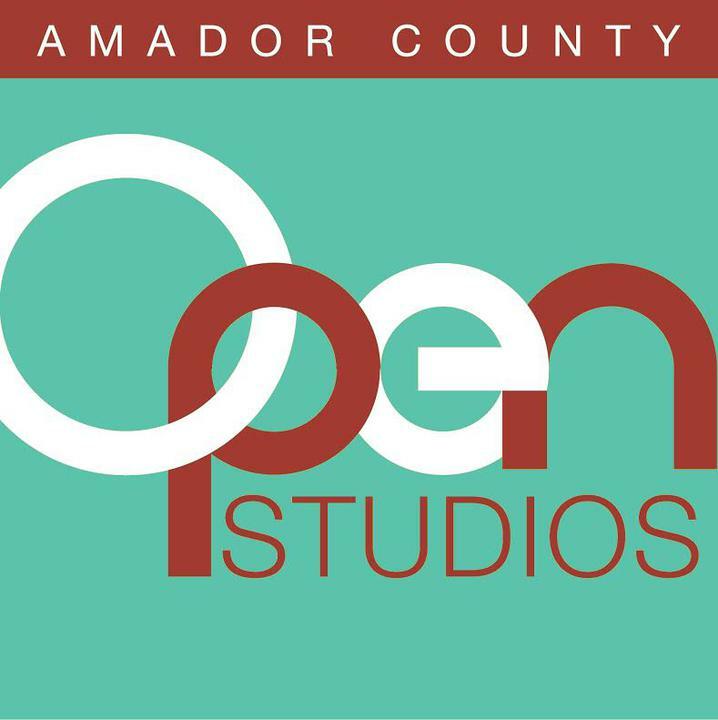 The gallery, operated by the non-profit organization AmadorArts, is open weekends 1:00 to 4:00 pm and weekdays 9:00 am – 2:00 pm, except Wednesdays. Exhibits change each month curated and staffed by volunteers. In December the theme will be "Holiday Adornments" featuring ornaments and jewelry made by local artists. Visit www.amadorarts.org for more information. 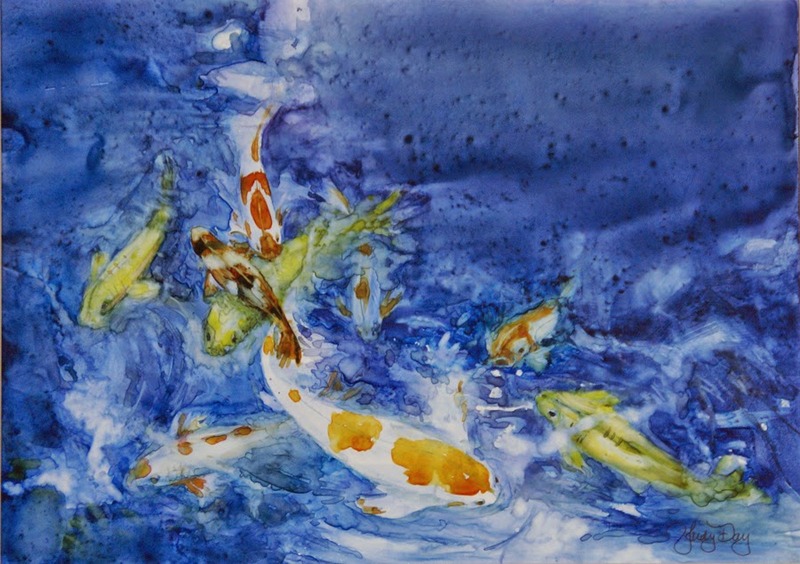 Jeannie Vodden is known for her luminous watercolors. She paints in glazes of transparent color that give life to the simplest motifs from eggs to portraits. 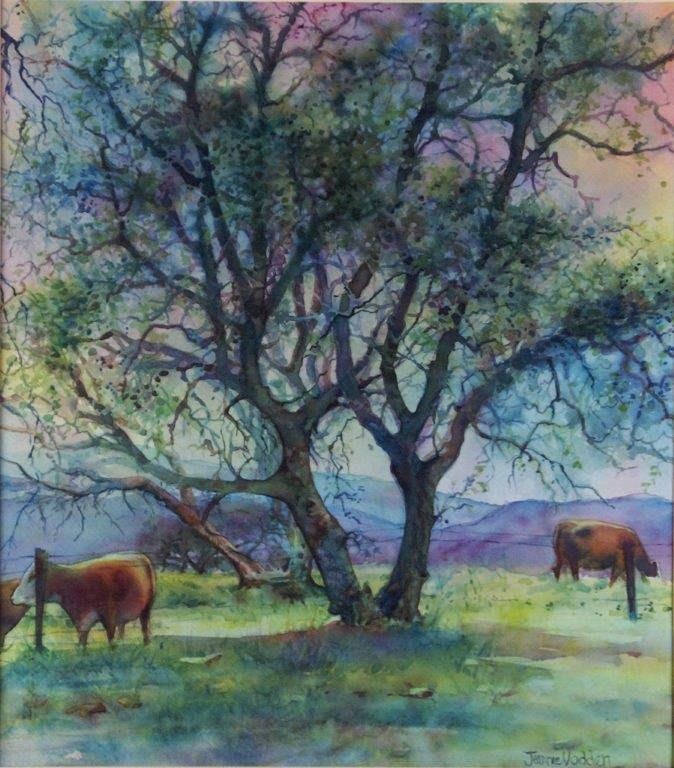 She teaches in many locations regularly and will be giving a demonstration at the next meeting of the Amador County Artists Association on Wednesday, November 12 at 7PM at the Senior Center on New York Ranch Road in Jackson. 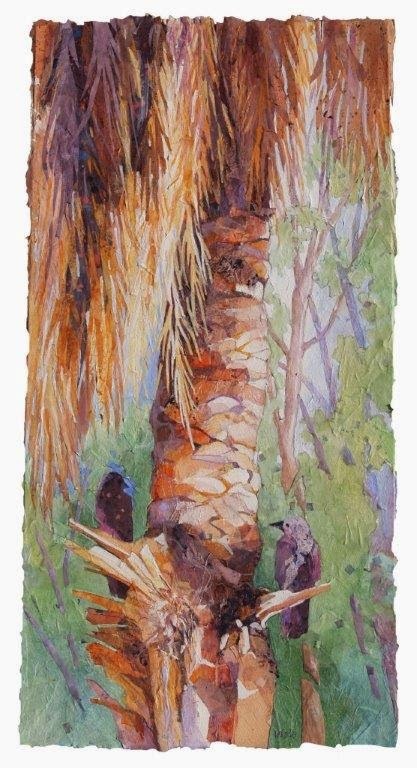 This is an opportunity to watch one of the premier watercolorists in California ply her amazing craft to create beautiful artwork. Visit Jeannie's website to learn more: http://www.jeannievodden.com/. The ACAA meets each month on the second Wednesday; the public is invited, and new members are always encouraged to join. Gallery 10 is pleased to announce the addition of two new artists to the gallery. 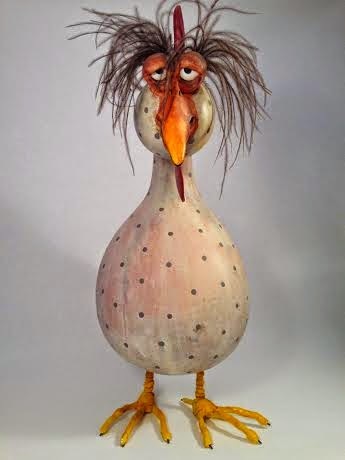 Jenn Norpchen is a wildly creative whimsical gourd artist who produces birds, animals, and bugs that will be a delight to see and own. 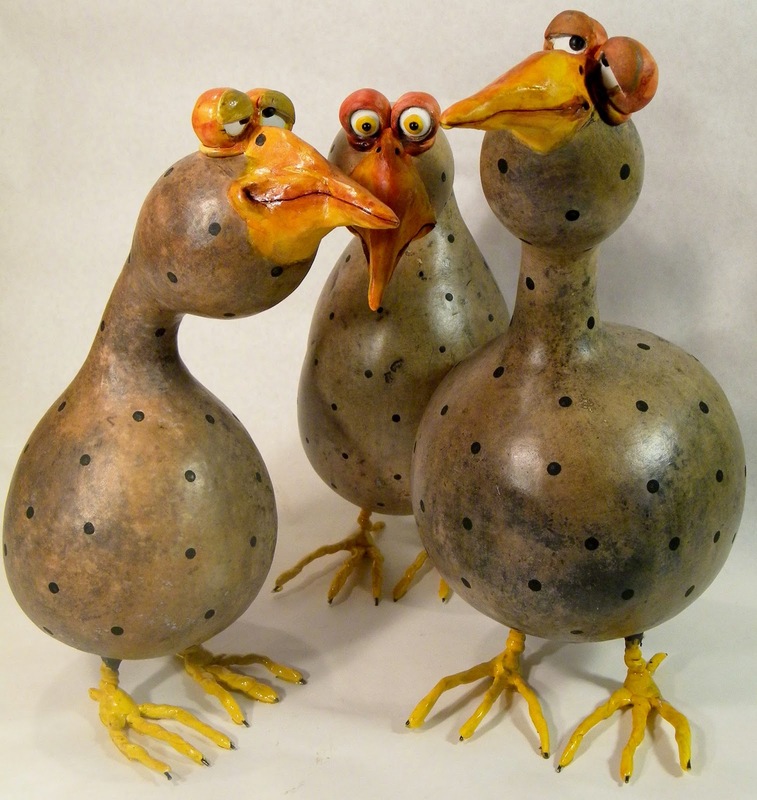 Lisa Bone creates stunning raku fired pottery, horse hair vesselas and functional ceramic pieces. Drop by to see their work and the works of other fine gallery artists. Perhaps you'll find something for your home or a gift for someone on your holiday list. 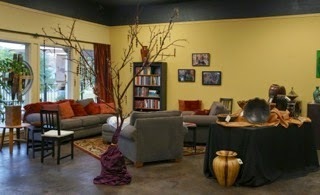 Gallery 10, 15 Eureka Street in Sutter Creek, is open Thursday thru Monday from 11 to 5. 5. Ted Smith "en plein air"
A “Creative California Communities” Project funded by the California Arts Council, implemented by AmadorArts, in partnership with Calaveras County Arts Council, the Foothill Conservancy, and East Bay Municipal Utility District. 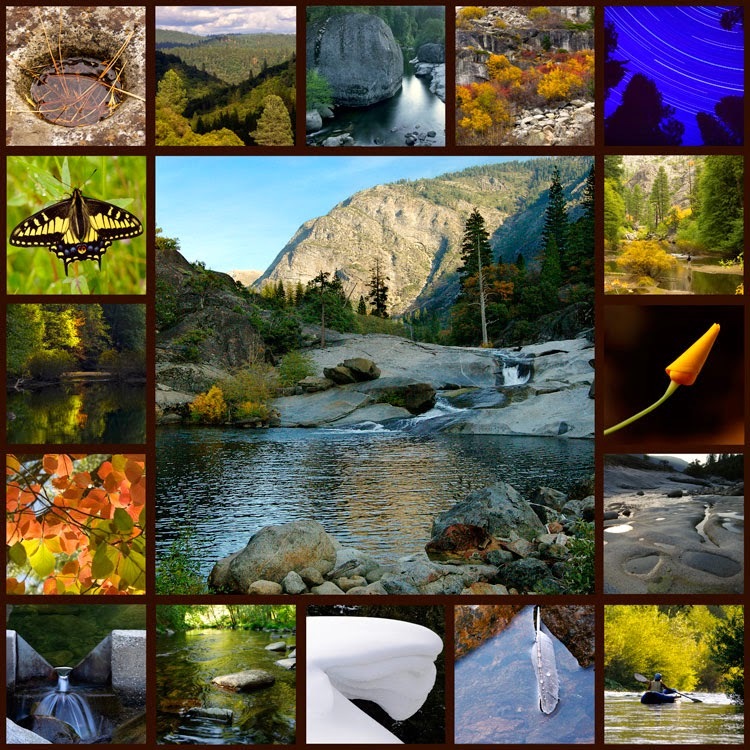 • Encourage artists from Calaveras, Amador and the East Bay to learn about and explore the Upper Mokelumne Watershed. • Raise awareness about, and appreciation for, the Mokelumne River among the 1.4 million people who depend on its water. 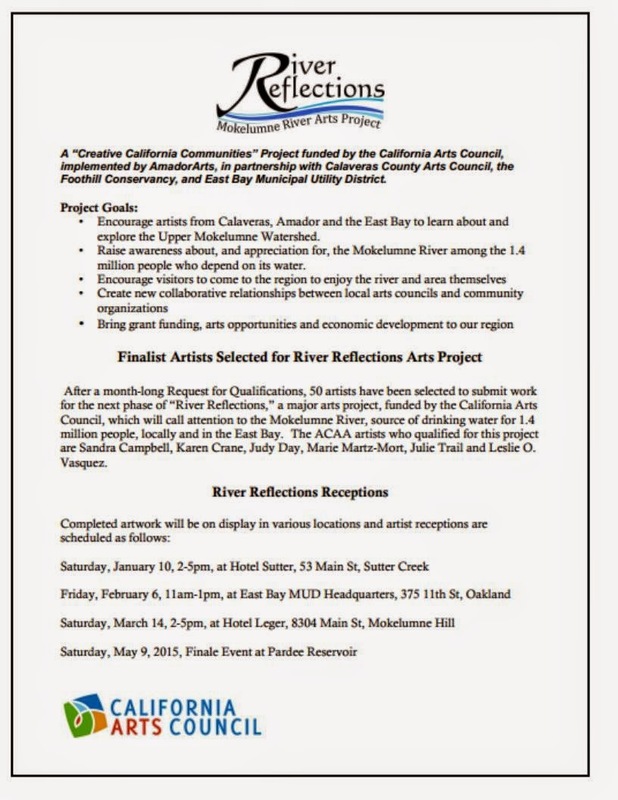 After a month-long Request for Qualifications, 50 artists from Amador and Calaveras counties and the East Bay have been selected to submit work for the next phase of “River Reflections,” a major arts project, funded by the California Arts Council, which will call attention to the importance of the Mokelumne River to our communities. The artists will now have until December 5thto deliver their final creations for inclusion in month-long exhibits that will travel to three locations starting in January, 2015. Artists will submit works which reflect the significance of the Mokelumne River, whether for water, irrigation, power, recreation or beauty. They have been encouraged to push the limits of creativity. “Think outside the river.” To inspire artists in the coming months, complimentary guided river experiences will be provided, including a boat tour of Pardee Reservoir and a Plein Air day at Middle Bar Bridge. Finalists will each receive a $200 stipend, potential cash awards, and the opportunity to sell their works during the exhibits and at the Grand Finale event in May, 2015. The project and its artists will be documented in a video produced by Cole Productions and distributed statewide. who will be submitting in both the 2-D and performance art categories. in order to gain inspiration for their creations. Judy Day loves the outdoors and has hiked and sketched in the High Sierras most of her life. “My art is inspired by my trips into the Sierras, vacations around the world, majestic landscapes, historical sites and almost everything in my neighborhood. You never know what will catch your eye and inspire you.” Day has been selected to be the featured artist for November at the Sutter Creek Gallery. Although she works in a variety of media, watercolor is her favorite. The artist holds a Bachelor of Arts Degree in Graphic Design and a K-12 California Teaching Credential in Art Education and Math from Art Center School of Design and Cal State Northridge. She recently retired from 20+ years teaching in Burbank, California and moved to Jackson in April 2010. Day’s art credits include illustrating three educational children’s books; designing numerous brochures, posters, paintings and cards; and constructing three by twelve-foot long cut-paper banners that hang seasonally in the First Christian Church of North Hollywood’s Sanctuary. Each summer, she directs a week long art camp for children in grades 3 through 8 in Studio City, California. She is currently serving as the President of the Amador County Artists Association. 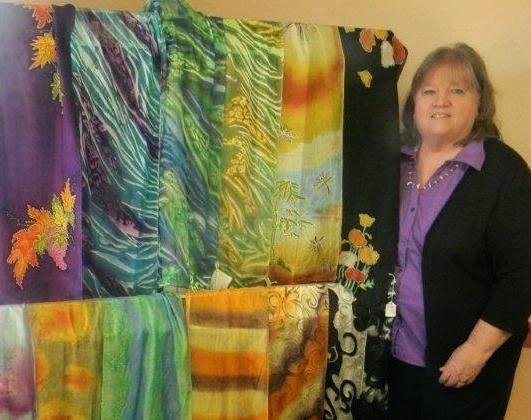 Throughout her career, Day has received numerous awards and ribbons for her paintings at the Amador County Fair, Ironstone winery and the Lodi Art League Show. In addition, she was named 1994 Burbank Woman of the Year and received the 1996 Outstanding Teacher Award given by the LA Times and CSUN School of Education. In 2002 Day was nominated for the California League of Middle Schools Educator of the Year. 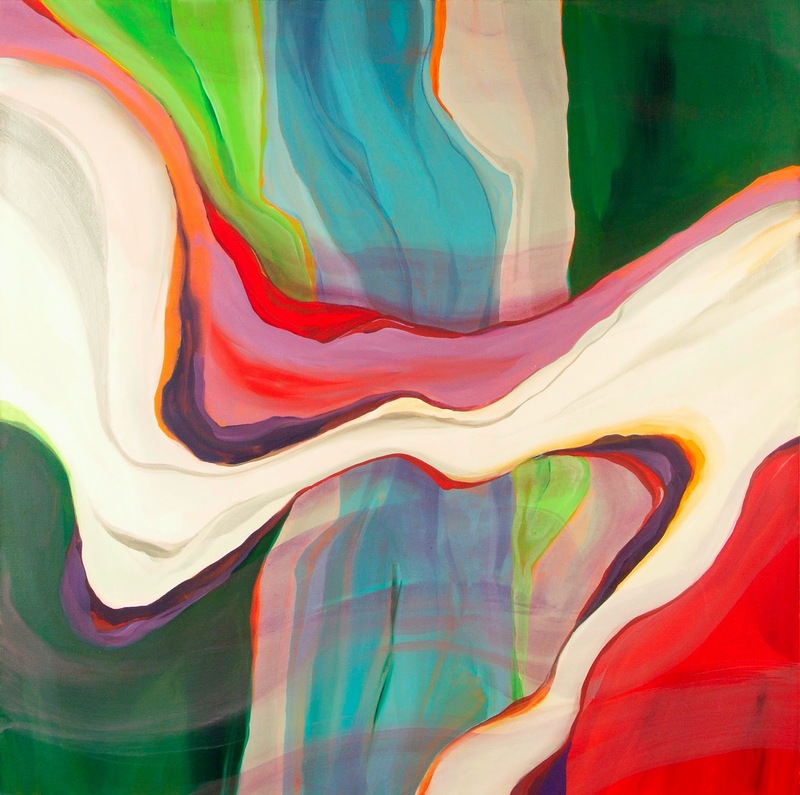 Petroglyphe Gallery, 8317 Main St., Mokelumne Hill, celebrates the innovative creations of Doug Lawler with his Light and Motion Show, A Study in Light, Movement and Color, starting at 11:30 a.m. Sunday, Oct. 26 and running through Sunday, Dec. 14 until 4 p.m. An opening reception in his honor will be held from 3 to 5 p.m. on opening day, Oct. 26, with Metzger Family Wines and light appetizers. There will be a free drawing for a $100 gift certificate to the gallery at the end of the reception. Lawler will be teaching a special workshop, Oil Pastels: A Study of Possibility, on Saturday, Nov. 1 from 1 to 5 p.m. for all levels of artists in the gallery’s adjacent Quarry Hill Studio. Cost is $85 with a $45 material fee to the instructor. Born and raised in Detroit, Michigan, Lawler started his art career with oil painting. At a young age he was involved in group showings and eventually one man shows in the Detroit area. As a young artist he was intrigued with the romance of painting in the tropics and found himself living in Hawaii where he eventually had several one-man art shows including showings at The Gallery of Fine Arts (Hilo) and the Unitarian Gallery (Honolulu). After winning the top prize in the Hilo art fair two years in a row, the state purchased one of his paintings to add to their collection at the Hawaii State Art Museum in Honolulu. man shows and was an invited artist at the San Francisco Art Festival. During this time he founded a printmaking collective in Berkeley where he, for several years, was involved in designing and printing anti-war leaflets and posters. 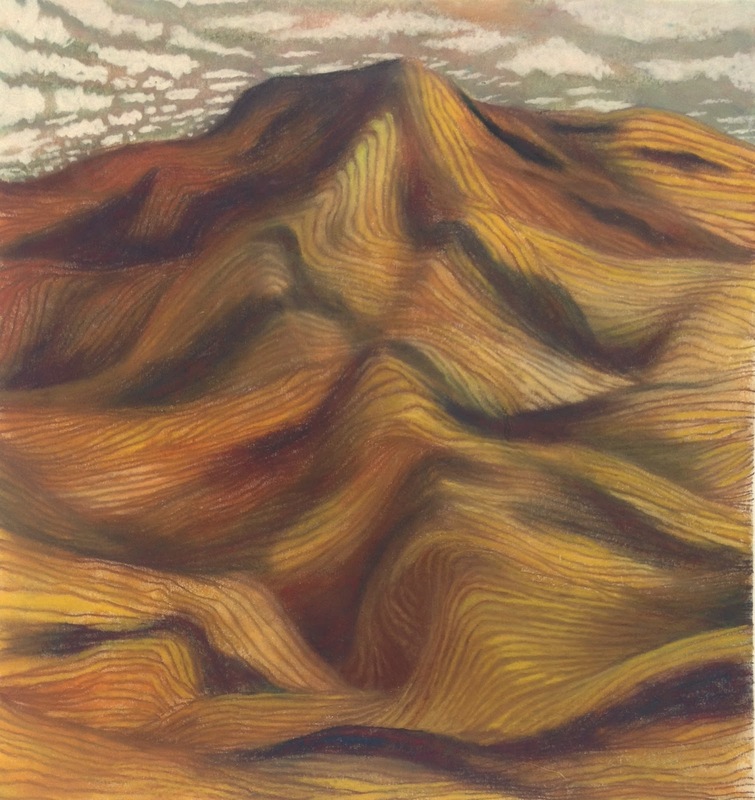 During the 1970s, Lawler traveled to a tiny Mexican fishing village, Yelapa, where he lived and produced a series of pastel drawings that were later exhibited in the U.S. He eventually moved to Spain where, for 12 years he worked and exhibited in numerous galleries such as The Galeria La Cortina in Barcelona, The Galeria Internacional in Ibiza, and Galeria Torres Begue and Galeria Kandinski in Madrid. He also worked as a freelance illustrator and was published in several periodicals in Barcelona. Upon his return to the United States, Lawler became interested in art conservation and worked as a free-lance fine arts conservator for many years at Bay Area museums including the Oakland Museum and the San Francisco Museum of Modern Art. During this time he restored the Jade Pagoda at the Oakland Museum and was awarded a contract for the renovation of the San Francisco Palace of Legion of Honor Museum, including the conservation/installation of the Spanish ceiling. Saturday, October 11, 9 a.m. - 4 p.m.
Artists will meet and check in at Sabina Turner Studio at 9 a.m. A cowboy model will be available for painting and sculpting in the studio. Outdoors, this old mining town has old stores and houses in the two-block downtown area, and rolling hills and vineyards a few minutes away. The fall colors will be at their peak! At 12:30, we'll meet back at the studio for lunch and an informal critique of each others' work if desired. Return to the studio at 4 to regroup before heading home. Cell phone reception is spotty; go to the top of the hill to get reception. Bring a sack lunch - the closest deli is 6 miles away in Plymouth. RSVP to the California Art Club, (626) 583-9009. 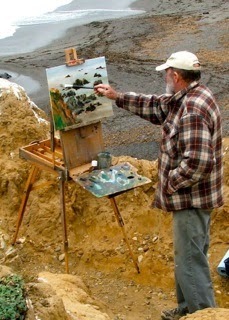 A reservation is highly recommended for studio painting/sculpting, as space is limited.